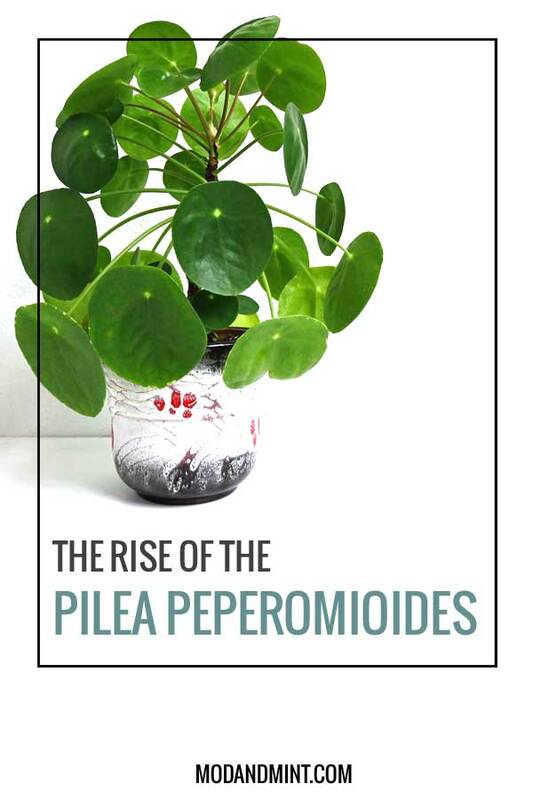 The Rise of the Pilea Peperomioides. First of all, I love the Pilea Peperomioides . Its gorgeous perfectly round leaves, in combination with the strong lines of the stems. If you take good care of them, and it’s not very difficult to keep a Pilea happy, they will shoot up babies left and right. Seeing all those baby Pilea plants appear and grow is a wonderful, slightly addictive thing to experience. How many new plants will your Pilea make? I worry that we will have an exuberant amount of Pilea plants to deal with in the near future. More than we can ever give away, or know what to do with. 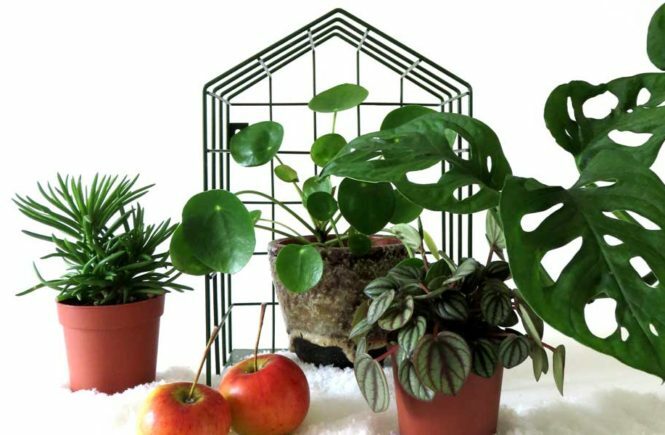 You only have to look at a few plant-loving Instagram feeds, and you’ll notice the Pilea is a hit. It has been on trend for a while now, and it doesn’t look like it’s going away soon. Pilea Babies and Instagram. Therein lies the rise of the Pilea. The Pilea Peperomioides used to be very hard to come by. People referred to it as the pass-it-on-plant. You had to know someone, who knew someone, who lived next door to someone with the magic key. Someone with a Pilea plant who liked you enough to give you one of the babies. There were no stores selling them because there were no distributors distributing them. Now that I’m thinking about that, that must come down to money. If you are in the business of selling plants, you want to keep selling plants. You don’t want to sell one plant, which then easily turns itself into an unlimited stream of new plants. The wonderful Pilea. 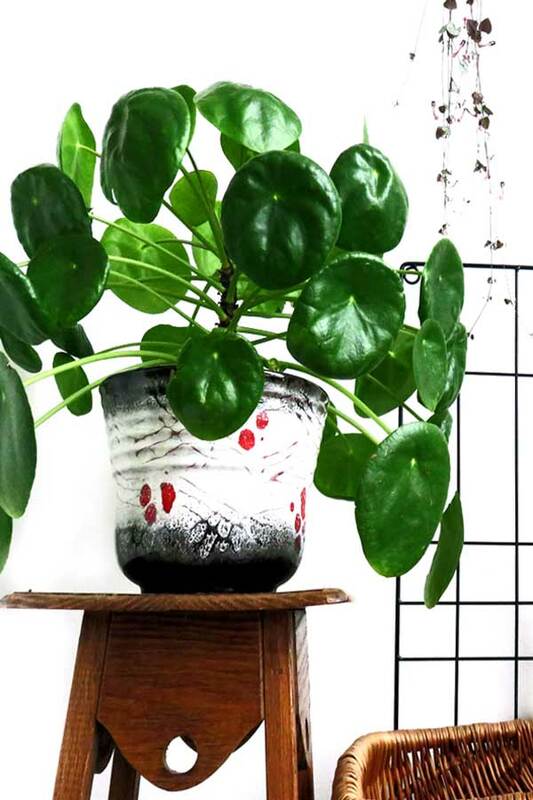 Also knows as the Pancake Plant, or the Chinese Money Plant. 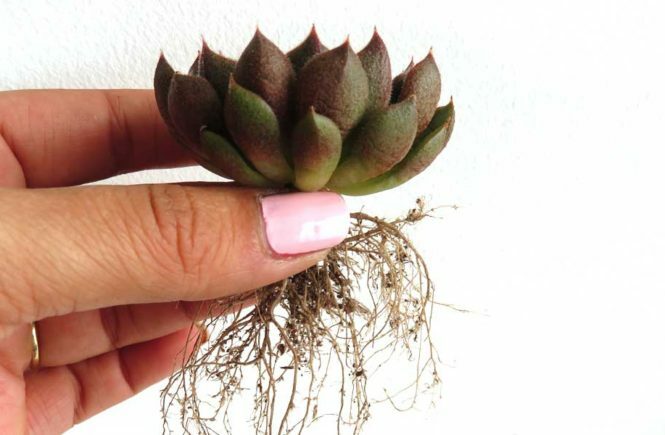 Many plant lovers are excited to get their hands on one. We take photos of our plants and share them on Instagram. The love spreads. So then all of a sudden there’s this great demand for this obscure plant. The lucky people who had one started selling the offspring on sites like Ebay and Etsy for shocking amounts. I recently moved from New York to the Netherlands. Over here the chain stores are really quick to pick up on trends. I wished I had this great story to share of how I got my plant. But basically, all I did was walk into the garden center, and purchased one. A small, but mature Pilea with two babies already popping up. It wasn’t long for those had grown to the point I could remove them from the mother plant, and put them in their own little planters. I was carefully examining the soil all the time, looking for new babies to come up. Currently, six new Pilea babies are starting to grow. It feels slightly addictive. But now what? For two, three, maybe four of them I could find new plant parents to give them to. But not everyone is thrilled to receive a plant. I do realize not everybody is as enthusiastic about plants as I am. But what to do with all the babies? I am not looking in to going into the plant selling or shipping business. A few days ago I came across a photo of an amazing giant Pilea plant. I felt immediate #pileagoals. Studying that photo i noticed that this plant consisted of multiple main stems. You don’t HAVE to remove the babies. You CAN also leave a few to grow together. So that will slow down the Pilea wave in my house a little bit. But what about all those other beautiful Pilea plants, all those little Pilea babies out there? I believe that stores in the US are catching on as well. But if you can’t find a Pilea plant locally, you now can get them delivered through Amazon or Etsy! Hi Alexandra, I am so sorry for my late reply. Had not seen your comment til now. I am not sure if all Pilea cuttings eventually produce babies. But I would think so. Maybe they have to mature a little longer before they do. Each plant is different, even though they come from the same mother plant. They might start sprouting new plants at different times. Keep on loving them. Oh my goodness your Pilea Plants are simply lovely! I FINALLY added a Pilea to my Plant-Family. 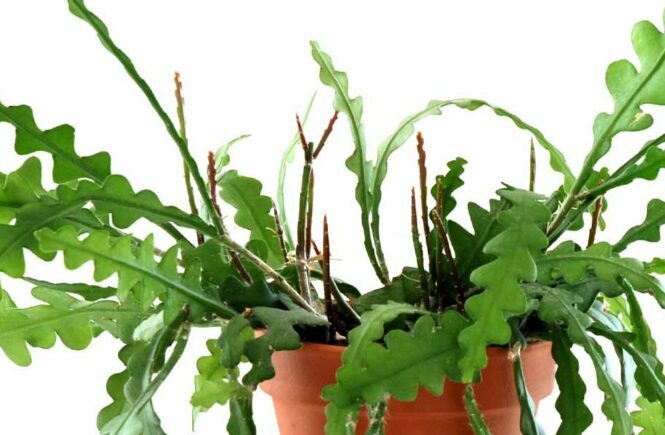 Since, I have fallen in love with my sweet plant. Mine is growing so fast now, popping new babies left and right. I removed her first babies fairly quickly (impatience), but now i leave them with their momma a little longer so they are stronger and ready to stand and grow on their own. 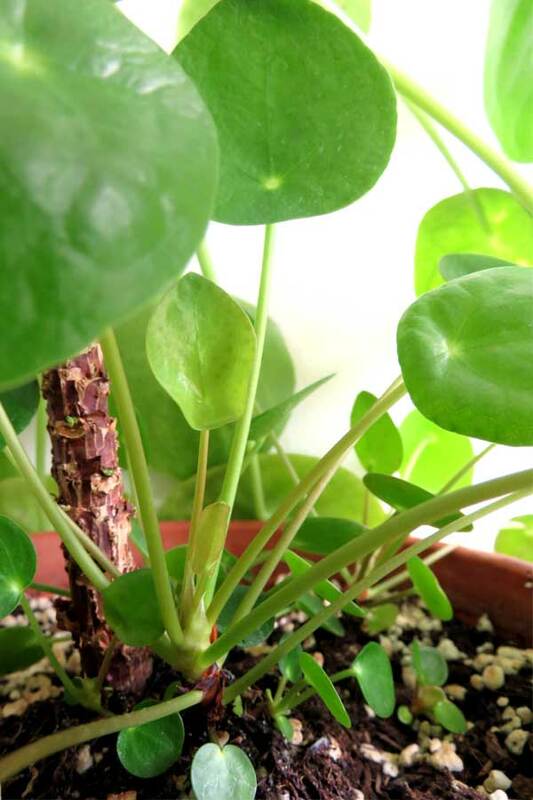 Thanks for sharing your link, love your little Pilea! Can I adopt one? Lol. I love all my plants soo much! I’m in Phoenix AZ n can’t find a Pilea. I’ve gone to so many nurserys. I’m a sad plant obsessed crazy green thumb lady. Lol. You could have one if you were closer! I know how it feels, hunting for that one particular plant. Aren’t there any Phoenix based plant lovers on Instagram you could find? Maybe one of them has a Pilea with babies to Pass On. I purchased a small pilea from someone recently and it already had 3 babies growing when I received it. Since I am a newbie in my plant obsession, I am trying to figure out how I know when my plant it is safe to remove the baby plants. the main plant doesn’t have the large brown stem yet. Should I wait until it does? I don’t want to do it too early and harm the growth of the plant. Hi Ashley. Congrats on the Pilea babies. Your mother plant might still be small, but apparently it is mature enough to have little ones. You can remove them carefully if you want. I would advice letting them grow a little before removing them. I was so excited when my Pilea mother got her first babies, i couldn’t wait to remove and repot them. But they were still tiny. They survived, but i did notice that later babies, which i left growing with the mother a bit longer, started out stronger in their own pots. And they are growing stronger with more leaves. So wait a little if you can, let the babies become toddlers and then remove from the mother. Hi I have a pilea. It’s growing babies like crazy…I was worried that my original plant is not healthy therefore making babies? (Like when some plants go to seed if they’re about to die!) Is this true I worry that if I leave the babies in my original doesn’t get as much nutrients? Hi Louise, I know what you are talking about. Like with Bromeliads, when they flower you know their end is near. That’s not the case for Pileas. Yours sound perfectly healthy. Mature pileas will pop up babies. Some more than others. You can leave them with the mother plant or remove them. I tend to think too many will take away from the nutrients the mother gets, but i’ve seen some where the pots were filled completely and they were all happily growing. No worries. The mother pilea making babies is not a sign that your plant is dying. Sadly I cannot keep these alive no matter what I try. I have ‘successfully’ killed four so far and my current one is heading the same way. I love them but the don’t love me back (neither do string of pearls or maiden hairs). I’m in Brisbane, Australia so very hot/humid in Summer and cool mild winters. My pileas usually look lush for a while then the stems start to spread out and will drop off or go brown then drop. Happy for any suggestions… Thanks in advance. I’m sorry to hear your Pileas are not doing so well! How often do you water them? Are you letting the soil dry out before watering? It is easy to overwater. An occasional leaf drop on the bottom is normal though. When the plant ages, it loses old leaves. But I think this is not the case with your plants. Sounds more serious. See how the soil feels when you stick your finger in. Maybe they aren’t getting enough light? It’s hard to say without knowing your exact situation.